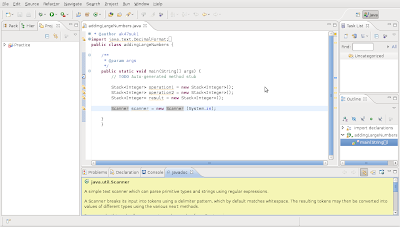 I think that many people are having same problem as me and annoyed with the above message when using Eclipse to do their Java Project and depend on Javadoc to assist their programming tasks. 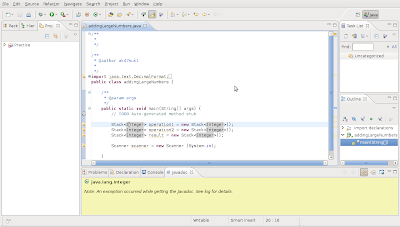 Start Eclipse (of course it’s the first step :D). 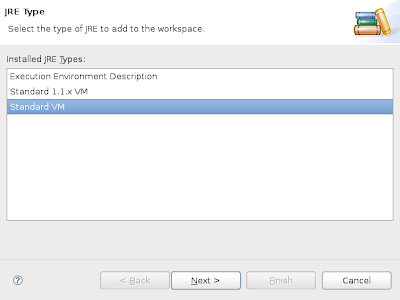 Select Standard VM and then Click Next. 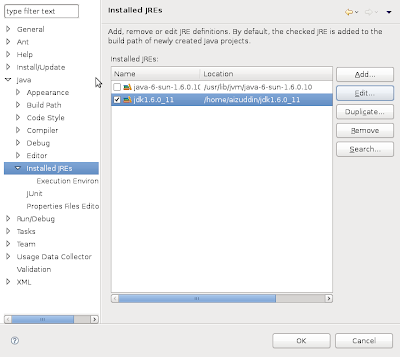 Click Directory and choose your Sun JDK Folder. 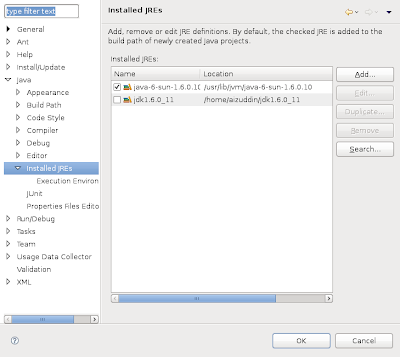 Tick your Sun JDK Folder from the list. P/S: Also work in Windows. Thanks!! Precise solution and easily described. Spot on. Thanks for that! very helpful... thank u dude..
Good Work, Thanks for help!!!!!! Thanks for the help. Your advice is solving this problem in the year 2012 also. Thanks for the straightforward solution..
Join Dropbox by clicking here and get extra 250MB more storage. ANY INFORMATION ON THIS BLOG IS STRICTLY FOR EDUCATIONAL PURPOSES ONLY. THE AUTHOR IS NOT RESPONSIBLE AND SHOULD NOT BE BLAMED FOR ANY DAMAGED CAUSE BY ANY INFORMATION ON THIS BLOG. USE ANY INFORMATION AT YOUR OWN RISK AND DO NOT BLAME OTHERS. ALL INFORMATION LOCATED ON THE CURRENT SITE IS PLACED THERE FOR PRIVATE PURPOSES AND MAY NOT BE DOWNLOADED, VIEWED OR USED IN ANY WAY OR FOR ANY PURPOSE WHATSOEVER. THE CURRENT SITE WEBMASTER OR ORGANIZATION HOSTING THIS BLOG TAKES NO RESPONSIBILITY FOR THE WAY YOU MAY USE INFORMATION FROM THIS SITE. IF YOU ARE A MEMBER OF ANY ANTI-PIRACY OR RELATED GROUPS OR ORGANIZATIONS YOU MAY NOT ENTER THIS SITE OR VIEW ANY OF THE BLOG CONTENTS. IF YOU ENTER THIS BLOG AND DO NOT AGREE WITH THE CURRENT TERMS YOU MAY NOT CAUSE ANY NEGATIVE TREATMENT OF OUR HOSTING ISPS, ORGANIZATION OR ANY PERSONS STORING THIS BLOG INFORMATION, AS ANY SUCH ACTION WILL BE DEEMED AS VIOLATION CODE NO. 431.322.12 OF THE INTERNET PRIVACY ACT OF 1995. BY USING, VIEWING OR OBTAINING ANY INFORMATION CONTAINED ON THIS BLOG, YOU AGREE TO THIS DISCLAIMER.